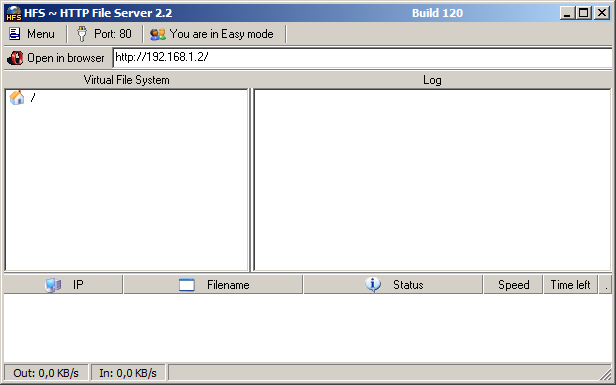 Http File Transfer is a freeware which can be used to share files over internet with your friends or colleagues. You can limit this sharing to some selected one’s or share it with whole world. It is an easy to use software. You don’t need to install this software, just double click on the exe file and start sharing your files with the world. Download the exe file from the link given at the end of this article. Double click on exe file. Now click on menu and select “add files”. Add the files you want to share with your friends. Now give your ip address to your friends. Ask your friends to type http://youripaddress in their address bar. This tool can be really useful when you have to share small files often with your friends. The program is completely free and easy to use. If you need any help you can use comment form given at the end of this page.